Privacy concerns and possible lawsuits have many operators worried. Preliminary results of the investigation, which was conducted by researchers at Brown University, found skilled nursing and assisted living providers are worried that placing cameras in rooms will violate the privacy of residents, their roommates, facility staff and visitors. Many operators also expressed concern that the cameras could open them up to potential litigation if activity caught on film was misinterpreted. The survey also highlighted less common camera-related fears. These included the possible erosion of resident and staff trust, staff demoralization and video security. Despite worries about installing cameras, many survey respondents said filming what goes on in residents’ living areas could help with investigations into complaints and give family members peace of mind. Many also noted that facilities can use footage to help monitor staff, determine the possible cause of resident falls and reveal behavior to families. One-fourth of the 228 operators who have responded to the Brown survey so far said they allow families to place cameras in resident rooms, while 16% said they know of at least one family that installed a camera. Just half of the facilities that allow cameras said they require signs in rooms where cameras are in use. 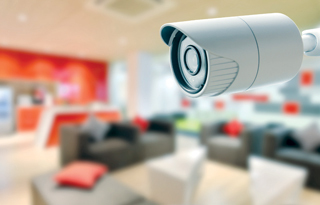 “This survey reveals that a large minority of respondents are aware of cameras in use in resident rooms. Most believe that privacy is at stake, and many envision potential positive effects,” wrote lead researcher Clara Berridge, Ph.D., MSW.